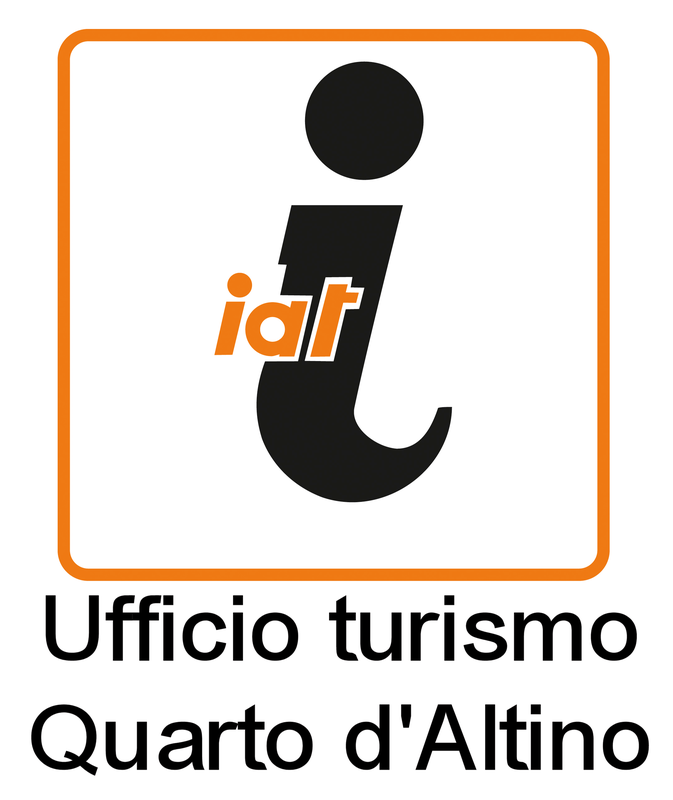 Quarto d’Altino is one of the most cycling municipality in Italy, with the National Award “Bicity Tutto L’anno” / “Bicity All The Year” given by the Ministry of Environment. The bicycle paths into the nature link various places in the area, creating easily-accessible routes. 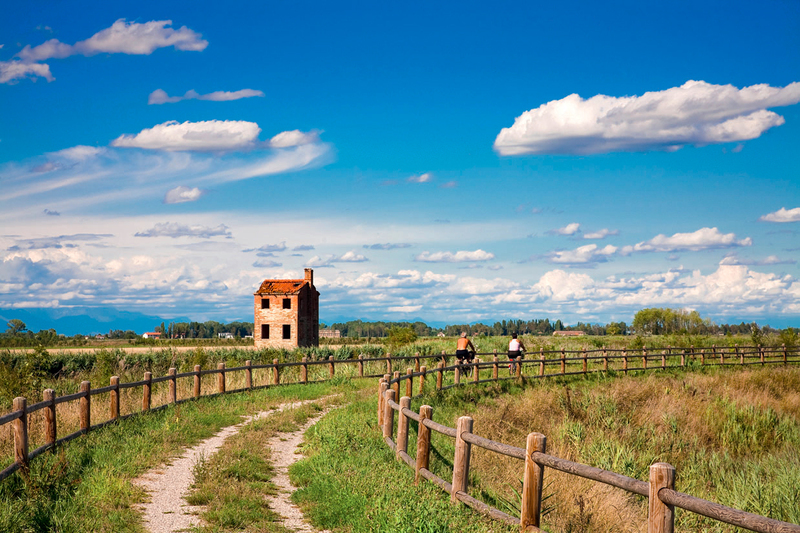 Among these “Percorso della Memoria” and “Alzaia sul fiume Sile”: the most interesting bicycle paths that are linked to the GiraSile way, the Green Way of Parco del Sile. 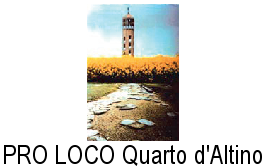 The main bicycle path starts from Quarto d’Altino, through Via Claudia Augusta up to “Percorso della Memoria”, starting at the draining pump Carmason. You can reach the National Archaeological Museum of Altino cycling through a part of the embankment of the Zero river, continue through Trepalade along “Alzaia sul fiume Sile” to Portegrandi (where there are the lagoon docks, “Conca” and the embankment of “Taglio” del Sile). Back to Trepalade, you’ll get to the naturalistic oasis and then you’ll arrive in Quarto d’Altino. You can find other interesting bicycle paths to the discovery of the ancient tracks of Via Annia and Via Claudia Augusta; both are includedinto the International I4 and in the new Munich-Venice and Romea-Strata paths. It’s possible to discover the lagoon by sailing by boat with bike on. Some of these routes belong to the European Slow- Tourism Italy-Slovenia project that connects these two Countries, on foot, by bike or by boat (slow-tourism philosophy). Tourists can rent a bike at some accommodation facilities and at the rental point of the different adherent business. 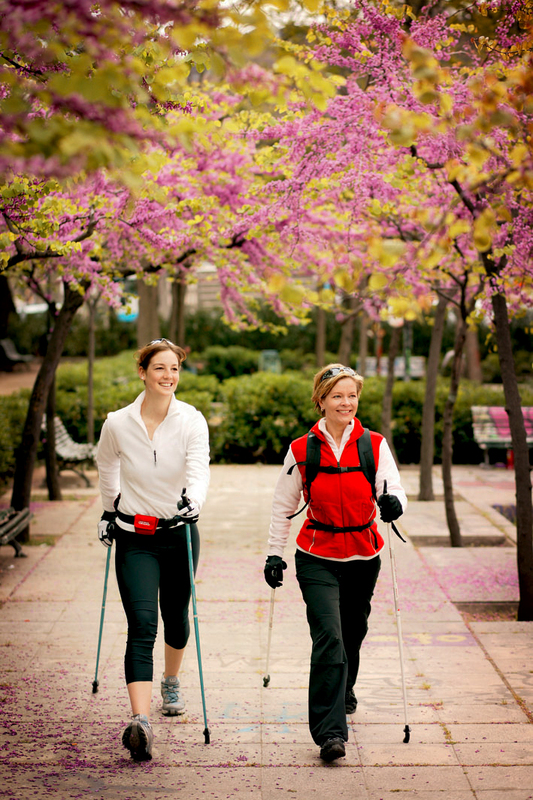 In the area of Quarto d’Altino there are three Nordic Walking paths (40 km of layout in total) in varying difficulty and distances (20 km, 10 km, 5 km). The peculiar hydrography of the area in the presence of the resurgence rivers and lagoon with the nearness to the open sea, makes an ideal place for fishing. 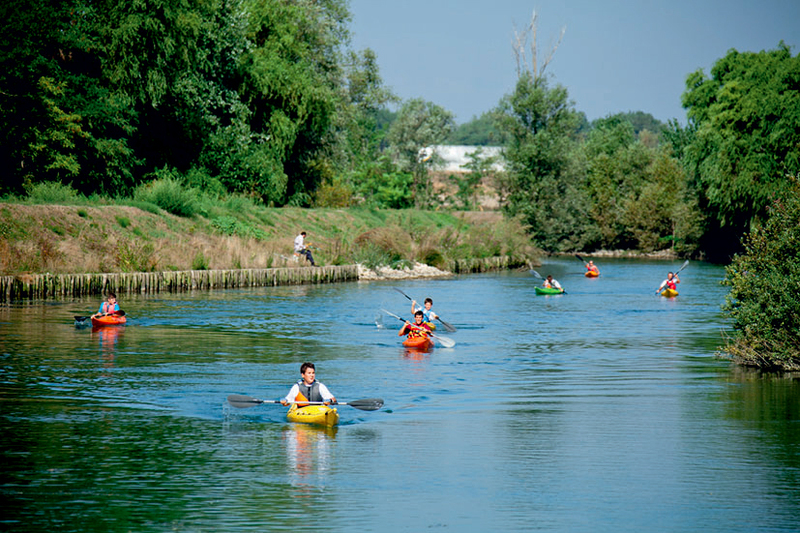 The several mooring posts along the Sile river allow to proceed into the nature along the longest resurgence river in Europe by boat, kayak or canoe, leading to Treviso or to the lagoon. You can also find plenty of well equipped green areas that could be freely enjoyed. Furthermore, there are private facilities to play tennis and horse-riding. In the vicinity there are other sport facilities with open-air and indoor swimming pool.